Everyone from Kate Moss to Olivia Palermo has been spotted wearing Heidi Klein's beachwear. Follow suit with this bikini top and briefs from the brand's Resort '19 collection. 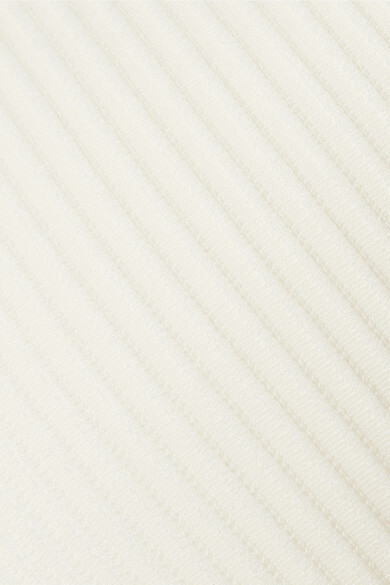 It's cut from ivory stretch fabric that's flatteringly ribbed and supportive. Fasten the back ties a little tighter when taking a dip in the pool. Wear it with: Illesteva Sunglasses, Alighieri Necklace.